Trusts are commonly used in the field of estate planning, and there are various types of trusts. Some trusts are revocable, and there are also irrevocable trusts. In this post we will look at the value of irrevocable trusts. When you create an irrevocable trust, you are surrendering incidents of ownership. Because you cannot revoke the trust, you are permanently conveying the assets into the trust. You are no longer the direct owner of the resources. The trust owns the assets. You can gain certain advantages when you surrender direct ownership of property. Many seniors ultimately apply for Medicaid coverage because Medicare does not pay for long-term care. Medicaid does cover long-term care costs. To qualify for Medicaid, you must be able to stay within income and asset limits. As a result, people typically divest themselves of assets prior to applying for Medicaid coverage. This is referred to as a Medicaid spend down. If you are planning well ahead, you could convey assets into an irrevocable Medicaid trust. Because you are no longer the direct owner of the resources, they would not be counted when Medicaid was determining your eligibility after a period of time. People sometimes use income-only Medicaid trusts. You can continue to receive income from the earnings of the trust, but the principal would not be looked upon as a countable asset for Medicaid purposes. Some people are concerned about legal actions. You may want to protect assets from litigants seeking redress. There are certain types of irrevocable trusts that are used to protect assets. 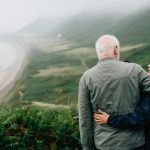 You can protect assets for your own purposes, but you could also create an irrevocable spendthrift trust for the benefit of a loved one who is not a very good money manager. 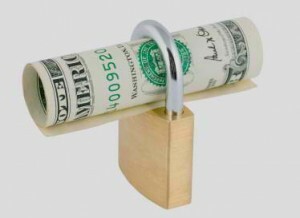 Assets in this type of trust would be protected from the beneficiary’s creditors. It is also possible to include a spendthrift provision to protect assets even if the beneficiary is not a spendthrift. The federal estate tax can have a significant impact on the financial legacy that you are leaving behind to your loved ones. In 2014, the federal estate tax credit or exclusion is $5.34 million. Anything that you intend to transfer that exceeds this amount is potentially subject to the estate tax and its 40 percent maximum rate. There are a number of different irrevocable trusts that can provide estate tax savings. These include generation-skipping trusts, qualified personal residence trusts, grantor retained annuity trusts, charitable remainder trusts, and charitable lead trusts. We have provided a basic overview in this post. If you would like to learn more about irrevocable trusts or any other estate planning tools, we would be glad to assist you. 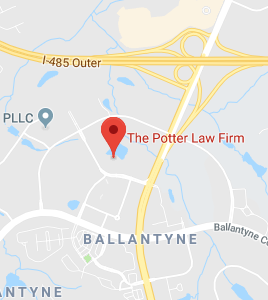 Our firm offers free consultations, and you can send us a message through this link if you would like to set up an appointment: Charlotte NC Estate Planning Attorney.